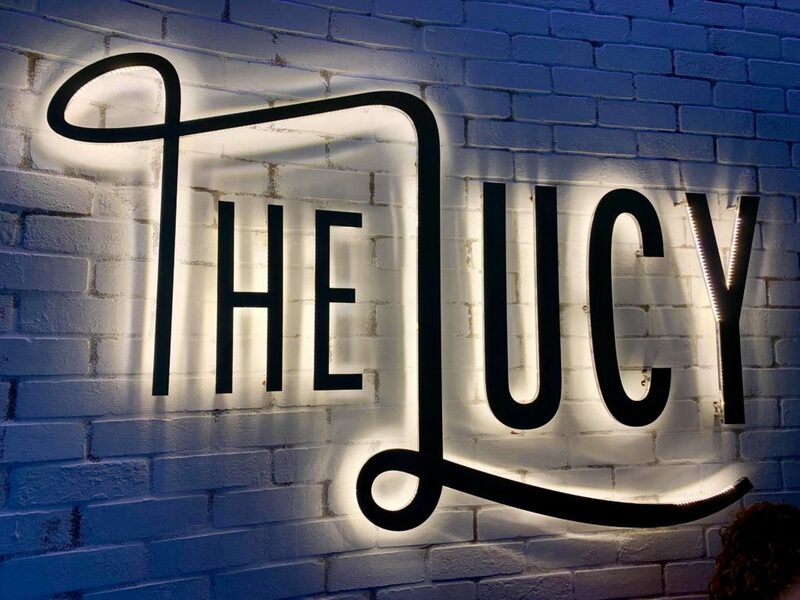 We were lucky enough to attend the unveiling of Cescaphe’s newest wedding venue, The Lucy! Located on the Avenue of the Arts, The Lucy is a perfect addition to Cescaphe’s five other venues. This iconic venue is modern and classic, giving it an elegant atmosphere to fit any type of wedding. Gold accents complimented the dark wooden floors and white brick walls, giving it a warm but modern feel. 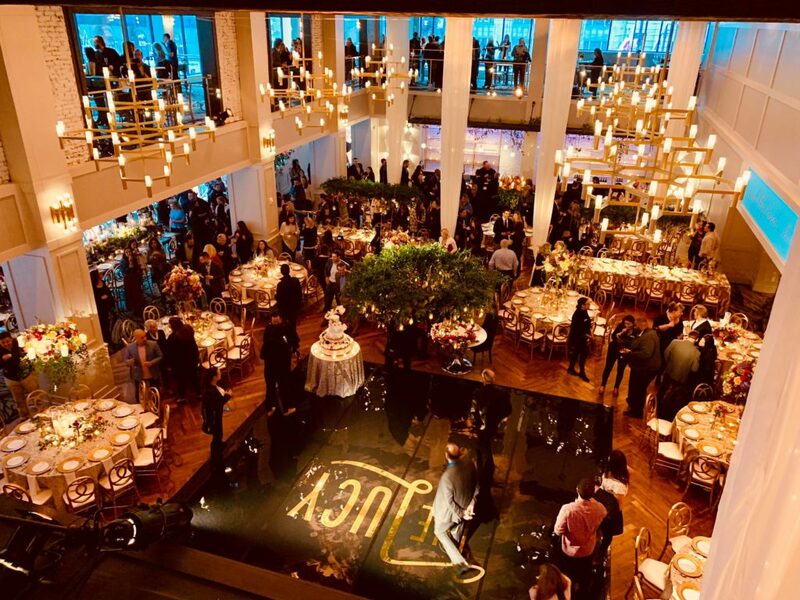 500 guests attended The Lucy’s grand opening, experiencing signature cocktails, delicious catered treats, and the gorgeous venue itself. 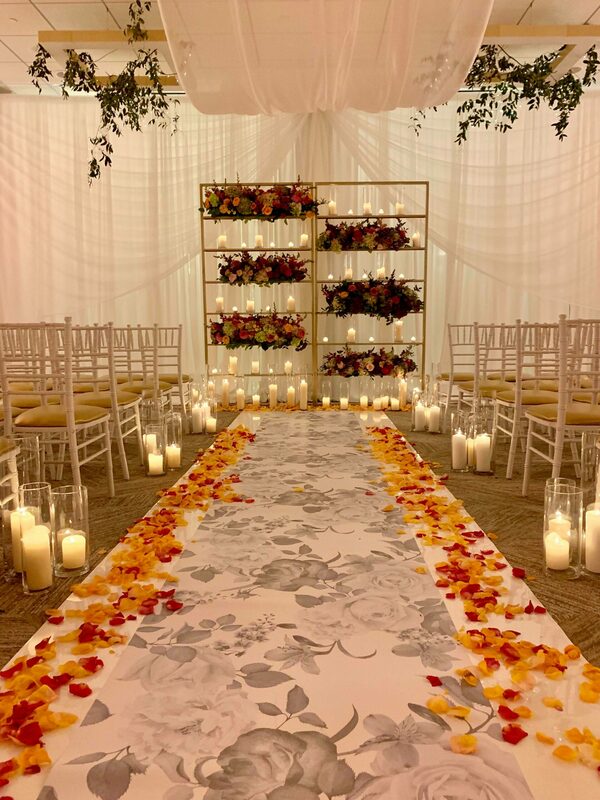 While most people ventured around the Grand Ballroom, upstairs we found an elegant ceremony location. Draped in sheer fabric and illuminated by candlelight, it felt like we were transported into a different place. 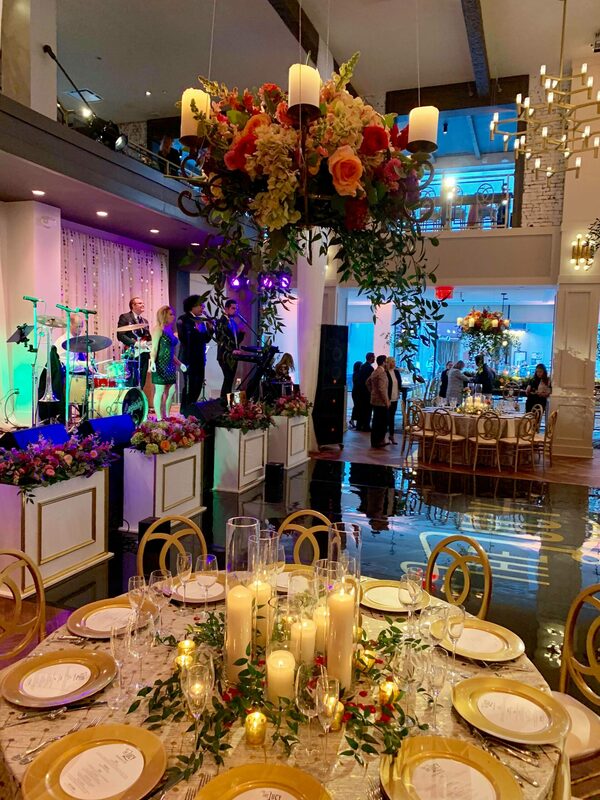 The candles, flower petals, and gold accents made it a lovely and intimate set up. We were truly blow away by how amazing this new venue is. We can’t wait to see how many Philly weddings will take place here! Congratulations to Cescaphe on the opening of their new venue!